What’s always funny is that, while the business world thinks they’re closer to the customer than ever, consumers believe precisely the opposite. That is according to Forrester 2017 research where stats indicate that 77% of people believe in companies that value their time. Aspect Research survey shows that customers point out the phone as the most annoying and frustrating way of reaching customer service team of a company. From these stats, we’ve two things on the table: the time we give to clients and how we handle inbound/outbound calls in our companies. The sure-fire way of developing a strategy that can take care of these concerns is developing a customer-centric system through CRM. With call center CRM solutions, we can get to know our prospects better and give them what they need at the right time. Centralizing Clients’ Data. The CRM call center software pulls up prospect’s information from the social media, SMS chats, online forums, etc. and stockpiles them in the database. Call assistants can then access this information easily whenever they want to give personalized support to the client. Real–Time Reporting & Data Analytics. Managers can extract valuable information from the CRM database by running forecasts based on the data. 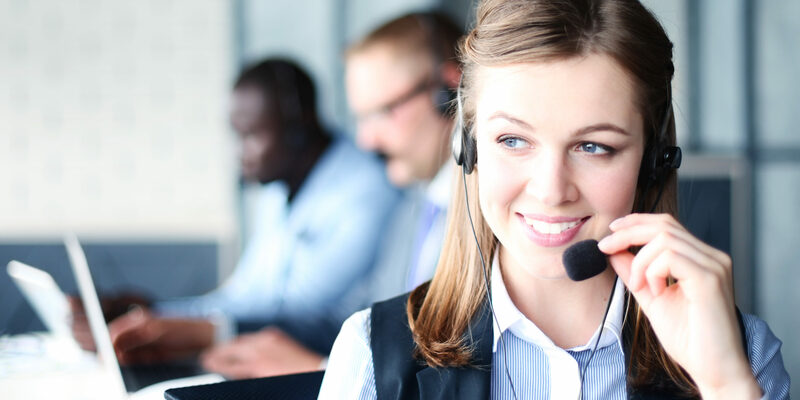 With CRM call center solutions, supervisors can know what agents are doing, what customers are talking about, which calls are frequently dropped, etc. Such reports and analytics help in evaluating KPIs to enhance service delivery and productivity. Integrating CRM with Other Tools. We’re looking at a system where every decision is made around the client. Developing a CRM contact center framework that will help in providing a unique experience for the prospects starts with integrating CRM with other tools such as ACD and IVR. Such as scheme enables reps to develop call scripts that promote training and fast onboarding of new talents. Start building personal relationships with your clients by contacting us today. Nectar Desk provides top-line CRM call center solutions for SMBs and enterprises. We’ve proven-and-tested cloud CRM structures that are easy to deploy with no extra costs.